Over the next few years LG plans to unveil devices that can bend, fold and roll-up, but in the meantime the company has something else to show us. 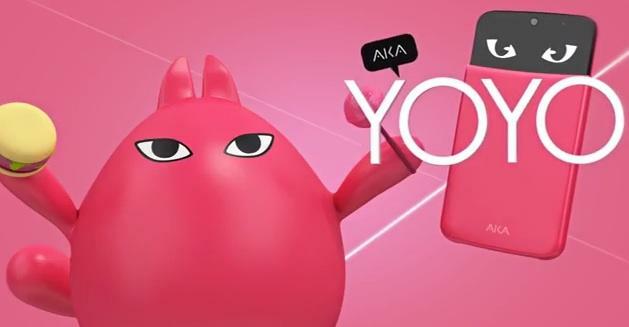 LG launched AKA on Tuesday, revealing a set of mid-range phones with built-in cartoonish personalities. 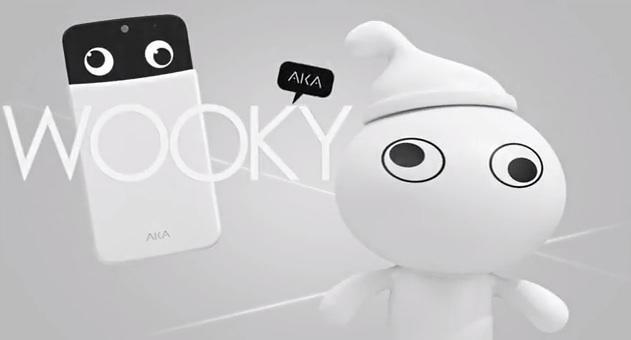 LG calls its new device the world’s first “character” in a smartphone. 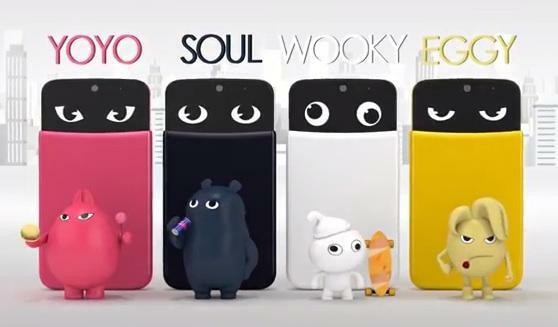 To be specific, there are four characters, each tied to a color: Eggy (yellow), Wooky (white), Soul (Blue) and YoYo (pink). Switching your phone’s personality is as easy as swapping out the back cover, thanks to a chip embedded in each rear panel. The new phones also come with a set of sliding cases, which leave the top quarter of the display uncovered. 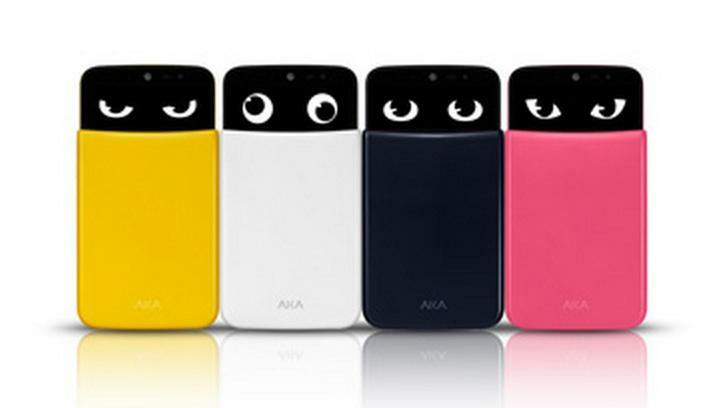 That’s where you’ll see those googly eyes show up, giving your phone a bit of personality even when it’s idle. 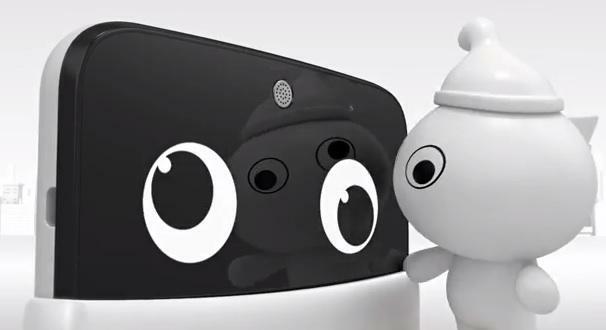 Shake the device and its eyes will tear up. Plug in headphones and your phone will do the same. Of course, that space also shows incoming notifications, so it serves a real purpose as well. 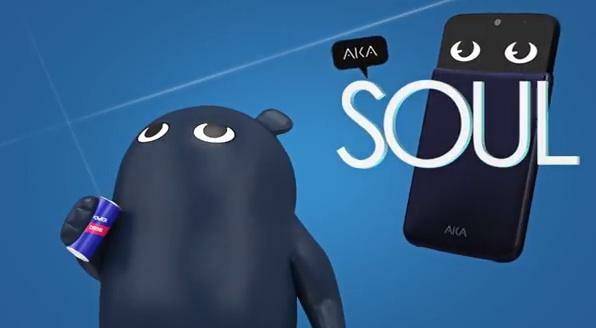 When it comes to hardware, the AKA is decidedly less impressive, sporting a 5-inch HD IPS display, an 8-megapixel rear camera, a 2.1-megapixel front-facing camera, a 1.2GHz quad-core processor, a removable 2,610mAh battery, 1.5GB of RAM, 16GB of storage with microSD support and NFC. It runs Android 4.4 KitKat with a heavy dose of LG software on top. 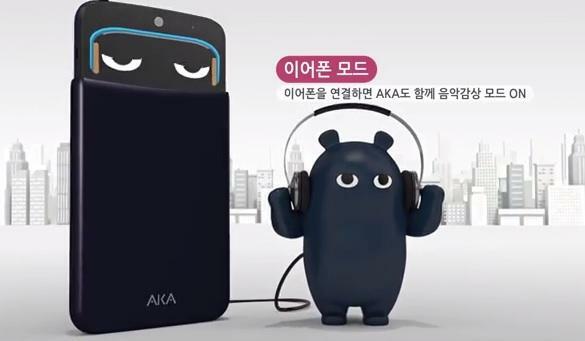 For now AKA is limited to South Korea, where you can buy one for 500,000 won (roughly $456). It’s possible these new smartphones will hit the U.S. and other markets eventually, but until then check out LG’s bizarre promotional video below for more info.